Native Instruments Komplete Kontrol A-Series | In Stock Now! Available to buy now - Native Instruments' affordable A-Series MIDI keyboard controllers. The Native Instruments Komplete Kontrol A-Series is available now at Gear4music. This line of MIDI keyboard controllers creates an affordable entry point to the Native Instruments ecosystem. With more than 4,500 sounds and 9.7 GB of content included, you'll be ready to start creating music straight out of the box. Offering many features of its bigger siblings from the flagship S-Series, the A-Series lets you express your musical ideas and control your software with ease. A best-in-class semi-weighted keybed provides fluid playability under the fingers, while the full range of controls and dials are pre-mapped to your software for seamless connectivity and control. When you're making music with software, you need a great playing feel and an intuitive workflow. Each A-Series keyboard features a responsive, semi-weighted keyboard alongside pitch and modulation wheels. Whether you're playing piano parts, synth lines, string section pads, or even drum beats, you'll find all the response you need with the best-in-class custom keybed from NI. 8 touch-sensitive knobs are also included, pre-mapped to the most useful controls on your KOMPLETE and NKS plugins. Along with the DAW transport control buttons, built-in browser display, and scale/chord/arpeggiator creative modes, you'll have everything you need to get the most out of your software before you even need to think about touching your mouse and keyboard. A built-in OLED screen lets you browse through your software instrument collection directly from every A-Series controller. The screen also automatically displays the value of any parameter control you are adjusting, making your workflow as direct and intuitive as possible. 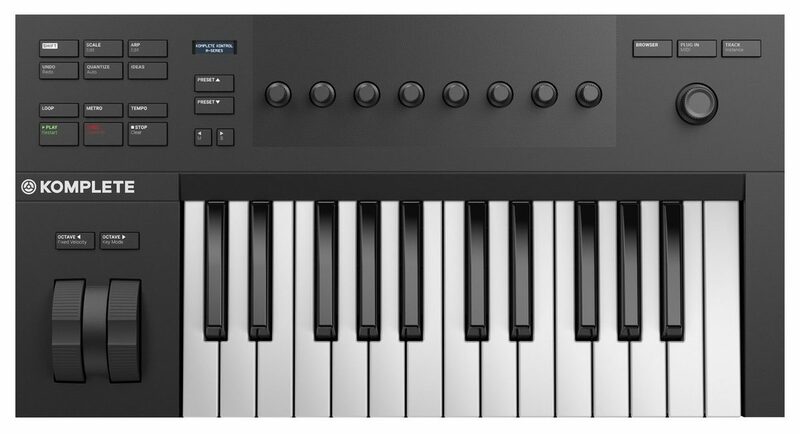 Each A-Series keyboard comes complete with software instruments from Native Instruments, including MONARK (monophonic synthesizer), THE GENTLEMAN (upright piano), REAKTOR PRISM ("Unique, responsive polyphonic instrument and effect"), and SCARBEE MARK I ('70s electric piano). A copy of MASCHINE Essentials is also included with its collection of instruments, effects and sounds for creating ideas, arranging complete tracks, mixing, and more. Each A-Series keyboard also includes KONTAKT 6 PLAYER, REAKTOR 6 PLAYER, REAKTOR BLOCKS WIRED, and GUITAR RIG 5 PLAYER. 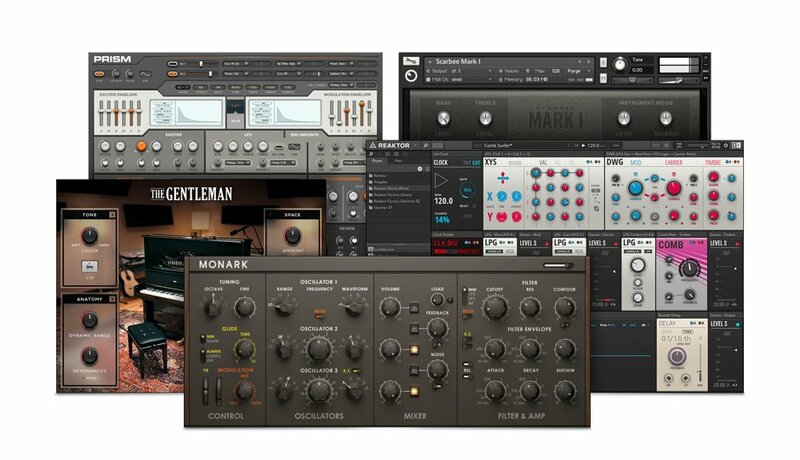 When you're ready to take your music to the next level, you'll be eligible for big discounts on powerful production tools like KOMPLETE 12 SELECT and the full MASCHINE Factory Library. 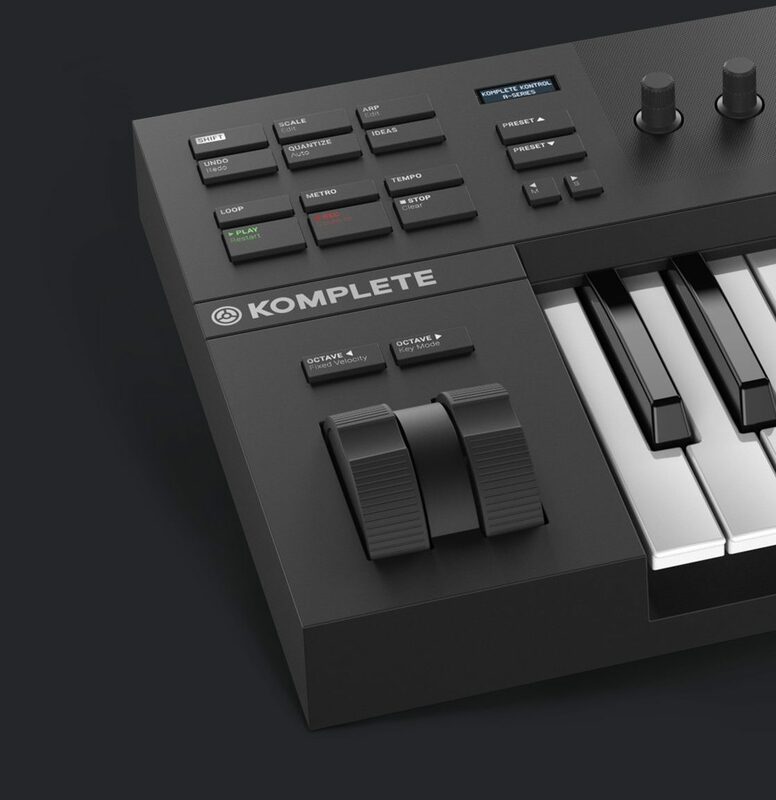 Watch this video below to see an introduction to the Komplete Kontrol A-Series. Watch Andrew Huang check out the Komplete Kontrol A-Series. The A-Series is available to buy now at Gear4music.